The great “hub” of food opened in Rome on the first day of summer! 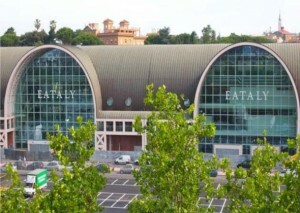 The Air Terminal station Ostiense, 21 June, is transformed into four floors of good food: fried healthy with the best Italian oils, buffalo mozzarella produced according to the most rigorous tradition of Caserta, bread leavened with yeast for 35 years, expressed pasta, sandwiches copyright and piadine. The beer is brewed in the brewery directly inside the station, the roasted coffee and instant hot chocolate flowing from the taps of the stand as a pastry section will delight gourmands.